One of the best ways to stay in touch with your donors on a consistent basis is through a nonprofit email newsletter. When done well, email newsletters can be fast and cheap for you and heartwarming for your donor, basically meeting everyone’s needs. Unfortunately, most email newsletters look like someone created it on a dare to, throwing a bunch of random things together so they could call it done. Random doesn’t cut it. Neither does boring. So, what does it look like when it’s done well? Stay in touch with donors to create regular communications (consistency). Make the donor feel good about supporting your mission and even feel like they’re part of the family (connection). Invite donors’ feedback to establish 2-way communication (courtesy). Basically, your email newsletter is there to keep the lines of communication open and to meet the donor’s need to feel good about your nonprofit. It’s about them and their desire to know what’s going on, not necessarily for you to ask for money, ask them to buy a ticket to your event, and ask them to volunteer (which is too many asks at once!). Your newsletter gives you the chance to write as one person to another person with an authentic, warm connection. If you write too formally, write in 3rd person, or write about how great your nonprofit is using ego-centric language, it doesn’t feel connecting at all. So, let’s get your nonprofit email newsletter right so it makes your donors feel good and helps you build the loyal donor base you need to fully fund your mission. Who you should sent your newsletter to? Does it go to donors? Volunteers? Are you sending it to program participants or others? It’s a bad idea to try to combine every possible audience into one simply to make it easier for you. Your donors should be the main focus of your newsletter. Depending on your organization, it might make sense to include volunteers, too. But be careful about including program participants because the information they need may make donors feel like outsiders or make the newsletter seem irrelevant to them (and that’s no good). Use Constant Contact, Mail Chimp or something similar to send out your newsletter. They’re affordable, easy to use, and have great templates you can customize for your nonprofit. Your regular email (e.g. 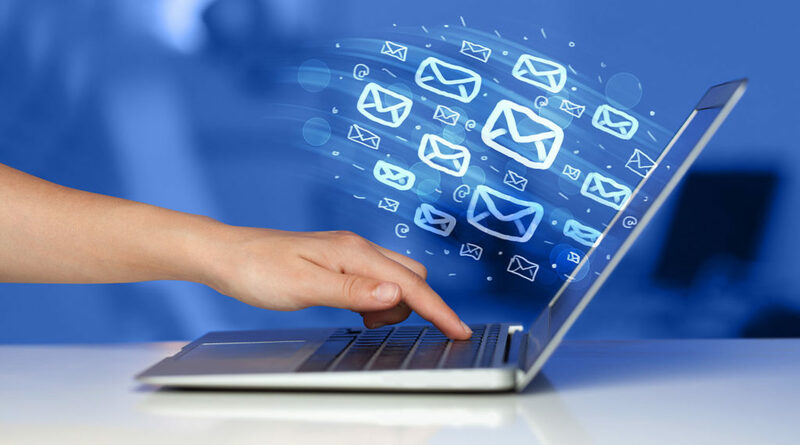 Outlook, Hotmail, or gmail) is not set up for email marketing and has significant limitations that can hurt rather than help your email marketing efforts. If you try to use your regular email, you run the risk of being marked as spam, looking unprofessional, and not being able to measure open rates. A system like Constant Contact complies with U.S. CAN SPAM laws so you don’t have to worry about it. Using a template from an email tool is ideal because they’re made to be easily read online or on mobile (more about that in a minute). Don’t copy your print newsletter into an email or ask people to download a PDF of your print newsletter. Neither is a good option and makes you look lazy. The truth is that all the other nonprofits your donor supports has a nice-looking newsletter and you need one, too. That template will have a built-in unsubscribe link, which is a good thing. 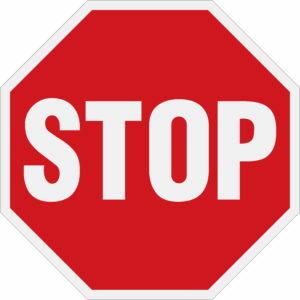 You need to give people a way to opt out if they decide they don’t want to receive your newsletter any longer. Sad day, I know. But hey, I’m sure you’ve opted out from things that just no longer captured your attention. The short answer to what to include in your newsletter is anything your donor will love. Set her heart on fire with stories of real lives and real change – it’s what she wants to know after giving. Here’s a rough email newsletter template you can follow to make sure you’re including only the good stuff in your donor newsletter. ONE Success story. Kick off your newsletter by sharing one good story that shows your nonprofit is making a difference. Start by talking about the transformation in terms of what their life was like before they got help from your nonprofit, and what it’s like after they got help. Use hero language like “we couldn’t have done it without you” to engage the donor. It’s tempting to share several stories, but keep in mind that people have the attention of a goldfish (about 7 seconds) and they just won’t read a lot. So, it’s better to have one good story that demonstrates your effectiveness than several stories that overwhelm your reader. Less is definitely more. To make it easy on yourself, create an annual editorial calendar so you know what you want the theme to be each month before the month arrives. For example, if your nonprofit serves single Moms, you might connect a story with Mother’s Day for your May newsletter. Some of our animal welfare clients cleverly talk about how it’s not a good thing to be a Mom when you’re a dog and why spay/neuter is so important. Update on how you’re making a difference. Create and include a graphic to share an update on your work with something like “25 lives saved this month” or “300 tutoring sessions this quarter.” Meaningful numbers will show the donor you’re doing your job and that builds trust which is the backbone of donor-based fundraising. Thanks to you. Use this short section to thank local businesses, sponsors, media, scout troops, etc., who have done something wonderful to support your nonprofit. It’s good to thank these people publicly and it also plants the seeds of ideas in the minds of others who could help in a similar way. Save the date. Use this short section to clue your reader in about one or two upcoming events. Bonus points if one of them is a volunteer orientation. Get involved. Include a brief mention of upcoming volunteer opportunities and ways people can help so if your reader is feeling warm and fuzzy, there’s an outlet for that feeling. Full contact info. Don’t forget to include your nonprofit’s general email, phone number, and physical address in case someone wants to reach out with a question. Social media links. Include your most popular social media channels at the bottom of your newsletter. Including the wrong things in your newsletter will kill its success. Wrong pieces don’t support the purpose of your nonprofit email newsletter and they don’t help build strong donor relationships. Letter from your Executive Director or Board chair. These are boring and too predictable, and sorry, but hearing from either of these two people is not on the top of the donor’s priority list. Endless updates about past events. If you have lots of events to report on, you’re doing too many events! And really, if you’re recapping event after event, you’re spending all your time looking back instead of looking ahead. Plus, if people didn’t attend your car wash, they don’t really care that you raised $225. Lots of stats and facts. Lots of numbers make most people glaze over and that won’t increase reader engagement. Choose one or two that are relevant and interesting and include them along with a story that illustrates them. Cheap cause marketing. Don’t ask people to support your Amazon Smile, grocery store affinity program, search engine donation scam, or anything else that doesn’t generate at least a couple of thousand dollars. Seriously, please don’t promote these. You only have so many chances to ask people to engage with you. Don’t waste one on something that will generate very little for you in return. Remember that what you most want to share and what the donor really wants to read may not be the same thing. 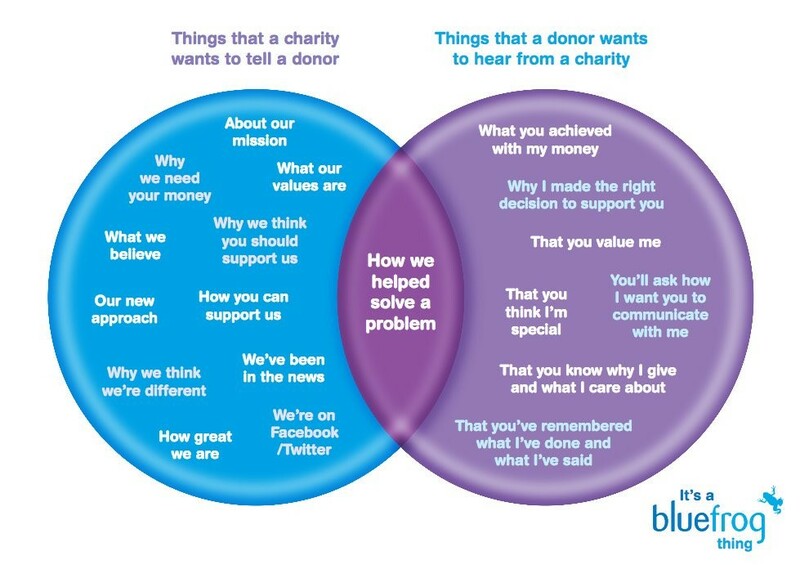 Check out the Fundraiser’s Paradox from Bluefrog Fundraising. A Call-To-Action (or CTA) is anything you ask your reader to do. For example, if you ask for a donation, that’s a CTA. Asking people to volunteer is a CTA. The problem is that if you ask, ask, and ask some more, you’ll wear people out. You’ll see your engagement rate drop and unsubscribe rate climb. 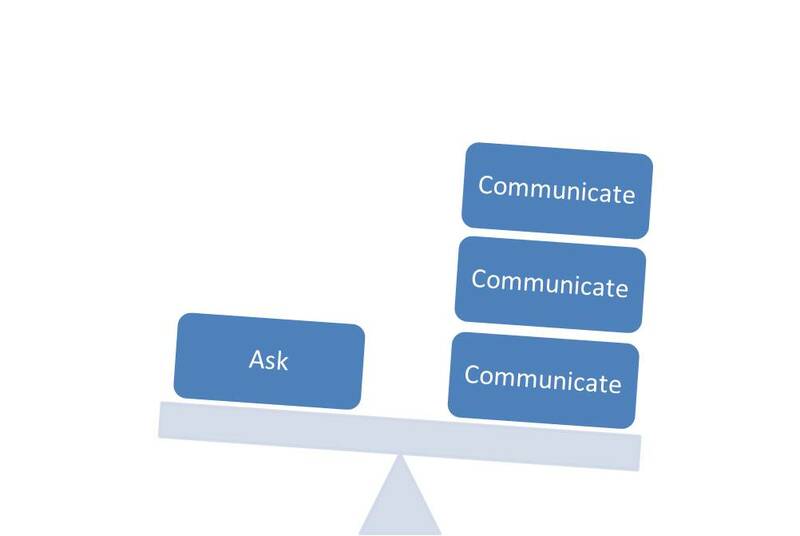 Good fundraising requires a balance of asks and non-asks. We recommend that you have 3 good, warm non-asks (also called Communications) for each ask. That means if you want your newsletter to count as a non-ask/communication, you can’t outright ask for money and your CTA needs to subtle. Your leading story needs to be so strong that it’s all the donor remembers after they read your newsletter. It won’t do you any good to create and send a newsletter if it’s hard to read. Follow these tips to keep the readability high and the boredom low. No acronyms or jargon. People won’t understand your organization’s insider language, so don’t use it when you communicate with donors and prospects. Honestly, if you use acronyms and jargon in your communications, you run the risk of making people feel dumb. I guarantee you they won’t take any action if that’s how they feel. Good images. Use graphics, charts, photos, and video to break up the text and give the reader some eye candy. 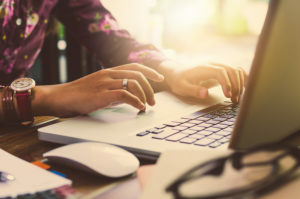 The right image can boost readability, keep the donor reading, and create an emotional connection that fuels the donor’s passion for your cause. Your subject line has one job – to get the email opened. If your reader doesn’t open your email, they can’t read your email. That means all the time you just spent writing it was wasted. So please, for the love of all things holy, please do NOT use the word “newsletter” in the subject line of your newsletter! It’s like a flare, warning donors that the contents will be just as bland as the subject line. For better subject lines, try using a question to pique the reader’s curiosity. Or find a way to connect with pop culture, state something controversial, or create a sense of urgency. Remember that all people are tuned in to station WIIFM (What’s In It For Me) and the subject line “April newsletter” doesn’t give your reader any motivation to open and read. So, be ready to spend a little time writing several draft subject lines until you get it just right. About half of all email is opened and read on mobile devices. That means you CAN’T format your newsletter in columns and expect people to read it. They just won’t. Readability boosts engagement rates so pay attention to how readable your newsletter is. Think about it – if people can’t read it because the font is too small, the columns are hard to follow, or the colors are weird, they won’t read it. 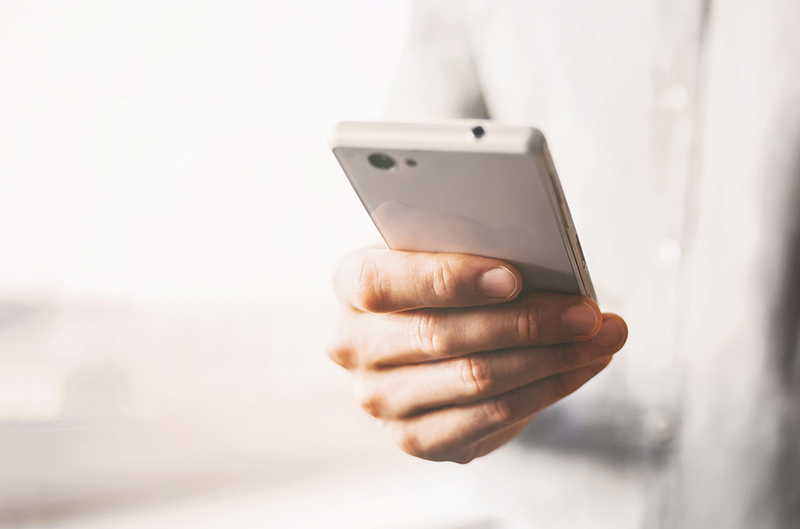 No one wants to work hard to read your newsletter, so make it super easy to read, especially on mobile devices. Inboxes are flooded with requests, updates, and coupons. No one wants to read another newsletter. That’s why your nonprofit email newsletter MUST stand out, especially on mobile devices. Consistent communication with your donors is the backbone to building relationships. So, make a commitment to send your newsletter monthly. 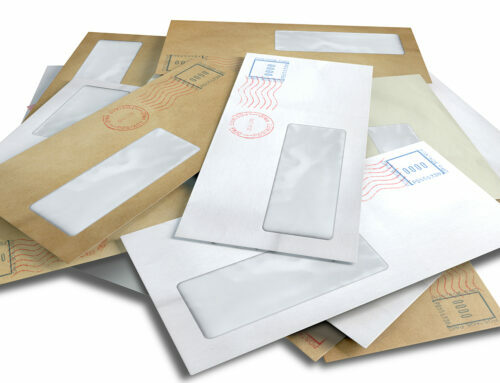 Sending it less frequently isn’t often enough for them to feel connected to your cause and frankly they’re likely to forget about you in between editions. Pick a date and send your newsletter consistently on the second Tuesday of every month or the 15th of every month or whatever works for you. Stay away from the first or last of the month (which is roughly the same thing, right?). In the US, there are too many major holidays around that time and you tend to lose donor’s attention during holiday time. The point here is to choose a time and be committed to sending your newsletter out every month at that time so donors start to expect it. 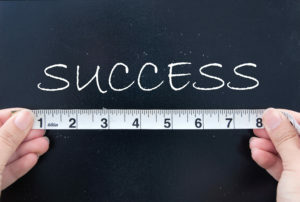 So, how do you know if your nonprofit email newsletter is successful? Just because you wrote something and sent it out doesn’t necessarily mean anything. The number of names on your email list. Also known as your newsletter list or house list. These are the people who have opted in to hear more about what your nonprofit is doing. Open rate. How many people on your list are opening your nonprofit email newsletter? Click throughs. How many people are clicking through the links you’ve included in your newsletter? CTA response. How many people are responding to your CTA? While there may be some national benchmarks for some of these numbers, the smartest thing you can do is measure against yourself. What’s YOUR nonprofit’s typical open rate or click through rate? If your email service doesn’t provide you with a report, then create yourself a spreadsheet and start tracking how each newsletter is performing so you can find out what your averages are. Also pay attention to feedback from your readers, whether they email you, comment on social media, or mention something to you in person. Those anecdotal bits can give you valuable insight into your reader’s thoughts and impressions. Chances are good if one person tells you they loved the story in your last newsletter there are others who think so too, but they just didn’t bother to tell you. Now, to get a sense of what some of these numbers look like across the sector, here are average email rates from Constant Contact, updated January 2019. Here are some of my favorite newsletters from small nonprofits. These are not giant nonprofits with enormous budgets – they’re small nonprofits just like yours. The newsletters always make me smile and I open nearly everyone they send. If you want donors to pause in the middle of information overload to read your nonprofit email newsletter, you must make it worth their while. Keep it interesting, easy to read, and full of emotion, and they’ll keep opening and clicking to find out more. Canva (www.canva.com) has hundreds of templates for both print and email newsletters. Canva is easy to use and free to nonprofits (just register with them and they’ll unlock all the cool tools for you!). Awesome! If you use any of these ideas, I’d love to see your revised newsletter! Well done! I don’t think I’ve seen a more succinct or practical article. Great job giving value.